Glaucoma is a leading cause of visual morbidity throughout the world and is an age-related condition, the prevalence of which rises significantly with increasing age. Glaucoma, a condition affecting the optic nerve, has a variety of subtypes with multiple aetiological factors, the most important of which are intraocular pressure (IOP) and increasing age. Treatment by lowering of IOP is the only current method, for which there is evidence, by which the rate of progressive visual deterioration can be slowed or halted. Although there are surgical and laser treatments that are efficacious in lowering IOP, the most common manner in which patients with glaucoma control their IOP is with administration of daily topical ocular hypotensive drugs (eye drops). The variety of topical drugs utilised in the management of glaucoma all have the potential to have adverse effects and/or interactions with concomitant medications, many of which may be used for other age-related conditions. Adherence with appropriate medicines has a major effect on the outcome of medical conditions and this aspect applies to the management of glaucoma. There are certain specific issues that relate to the administration of topical agents, with respect to both adverse effects and adherence. Although many suspect poor adherence in elderly patients with glaucoma, relative to younger patients, adequate evidence for this is lacking. Furthermore, the manner by which adherence issues could be improved remains inadequately understood and poorly addressed. 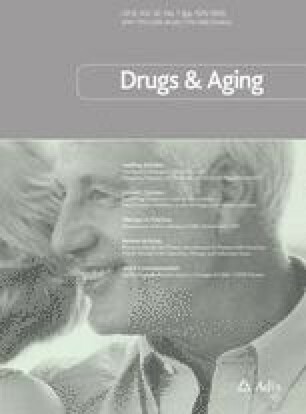 The aims of this article were to review, from a clinical perspective, the medical therapies currently used for glaucoma and discuss adherence issues with respect to the population of patients with glaucoma, who tend to be relatively elderly. David C. Broadway and Heidi Cate have no acknowledgments in respect of this review. Both authors devised the concept of the article and contributed equally to the research and writing of the manuscript. David C. Broadway and Heidi Cate have no conflicts of interest to declare that are of direct relevance to the content of this review. No sources of funding were used to assist in the preparation and/or writing of this review.